2019 Nissan Altima 2 mi. Gun Metallic, 2 mi, Cruise,PS,PW,Power Locks,p mirrors,Clock,Digital Info Center,Tilt,Telescoping Steering Wheel,Steering Wheel Radio Controls,satellite radio,Passenger Airbag,Side Airbags,Keyless Entry,ABS,Traction Control,Dynamic Stability,Security System,Intermittent Wipers,Rear Defogger VIN:1N4BL4BW9KN326013, Stock No:19615N, Please Call Miller Nissan, 930 Kings Highway East, Fairfield, CT At 203 367-5050 And Get Millerized! Mention You Saw This Vehicle On Bargain News Online. 2019 Nissan Altima 3 mi. Scarlet, 3 mi, Climate Control,Dual Zone Climate Control,Cruise,PS,PW,Power Locks,p mirrors,Leather Steering Wheel,Heated Seat,Clock,Digital Info Center,Homelink System,Tilt,Telescoping Steering Wheel,Steering Wheel Radio Controls,Sunroof,satellite radio,Passenger Airbag,Side Airbags,Keyless Entry,ABS,Traction Control,Dynamic Stability,Security System,Fog Lights,Intermittent Wipers,Rear Defogger,Wide Tires VIN:1N4BL4DW4KC202448, Stock No:19594N, Please Call Miller Nissan, 930 Kings Highway East, Fairfield, CT At 203 367-5050 And Get Millerized! Mention You Saw This Vehicle On Bargain News Online. 2019 Nissan Altima 5 mi. Gun Metallic, 5 mi, Cruise,PS,PW,Power Locks,p mirrors,Clock,Digital Info Center,Tilt,Telescoping Steering Wheel,Steering Wheel Radio Controls,satellite radio,Passenger Airbag,Side Airbags,Keyless Entry,ABS,Traction Control,Dynamic Stability,Security System,Intermittent Wipers,Rear Defogger VIN:1N4BL4BV4KC217459, Stock No:19599N, Please Call Miller Nissan, 930 Kings Highway East, Fairfield, CT At 203 367-5050 And Get Millerized! Mention You Saw This Vehicle On Bargain News Online. 2019 Nissan Altima 31 mi. Brilliant Silver Metallic, 31 mi, Cruise,PS,PW,Power Locks,p mirrors,Clock,Digital Info Center,Tilt,Telescoping Steering Wheel,Steering Wheel Radio Controls,satellite radio,Passenger Airbag,Side Airbags,Keyless Entry,ABS,Traction Control,Dynamic Stability,Security System,Intermittent Wipers,Rear Defogger VIN:1N4BL4BW8KC210040, Stock No:19600N, Please Call Miller Nissan, 930 Kings Highway East, Fairfield, CT At 203 367-5050 And Get Millerized! Mention You Saw This Vehicle On Bargain News Online. Gun Metallic, 5 mi, Cruise,PS,PW,Power Locks,p mirrors,Leather Steering Wheel,Clock,Digital Info Center,Tilt,Telescoping Steering Wheel,Steering Wheel Radio Controls,Rear Spoiler,satellite radio,Passenger Airbag,Side Airbags,Keyless Entry,ABS,Traction Control,Dynamic Stability,Security System,Intermittent Wipers,Rear Defogger,Wide Tires VIN:1N4BL4CW6KC216837, Stock No:19593N, Please Call Miller Nissan, 930 Kings Highway East, Fairfield, CT At 203 367-5050 And Get Millerized! Mention You Saw This Vehicle On Bargain News Online. Super Black, 5 mi, Climate Control,Dual Zone Climate Control,Cruise,PS,PW,Power Locks,p mirrors,Leather Steering Wheel,Power Passenger Seat,Heated Seat,Clock,Digital Info Center,Navigation System,Homelink System,Tilt,Telescoping Steering Wheel,Steering Wheel Radio Controls,Sunroof,satellite radio,Passenger Airbag,Side Airbags,Keyless Entry,ABS,Traction Control,Dynamic Stability,Security System,Fog Lights,Intermittent Wipers,Rear Defogger,Wide Tires VIN:1N4BL4EW0KC182357, Stock No:19576N, Please Call Miller Nissan, 930 Kings Highway East, Fairfield, CT At 203 367-5050 And Get Millerized! Mention You Saw This Vehicle On Bargain News Online. 2019 Nissan Altima 6 mi. Super Black, 6 mi, Cruise,PS,PW,Power Locks,p mirrors,Leather Steering Wheel,Clock,Digital Info Center,Tilt,Telescoping Steering Wheel,Steering Wheel Radio Controls,Rear Spoiler,satellite radio,Passenger Airbag,Side Airbags,Keyless Entry,ABS,Traction Control,Dynamic Stability,Security System,Intermittent Wipers,Rear Defogger,Wide Tires VIN:1N4BL4CW9KN323014, Stock No:19532N, Please Call Miller Nissan, 930 Kings Highway East, Fairfield, CT At 203 367-5050 And Get Millerized! Mention You Saw This Vehicle On Bargain News Online. Gun Metallic, 3 mi, Climate Control,Dual Zone Climate Control,Cruise,PS,PW,Power Locks,p mirrors,Leather Steering Wheel,Heated Seat,Clock,Digital Info Center,Homelink System,Tilt,Telescoping Steering Wheel,Steering Wheel Radio Controls,Sunroof,satellite radio,Passenger Airbag,Side Airbags,Keyless Entry,ABS,Traction Control,Dynamic Stability,Security System,Fog Lights,Intermittent Wipers,Rear Defogger,Wide Tires VIN:1N4BL4DV5KC207293, Stock No:19551N, Please Call Miller Nissan, 930 Kings Highway East, Fairfield, CT At 203 367-5050 And Get Millerized! Mention You Saw This Vehicle On Bargain News Online. 2019 Nissan Altima 4 mi. Brilliant Silver Metallic, 4 mi, Climate Control,Dual Zone Climate Control,Cruise,PS,PW,Power Locks,p mirrors,Leather Steering Wheel,Heated Seat,Clock,Digital Info Center,Homelink System,Tilt,Telescoping Steering Wheel,Steering Wheel Radio Controls,Sunroof,satellite radio,Passenger Airbag,Side Airbags,Keyless Entry,ABS,Traction Control,Dynamic Stability,Security System,Fog Lights,Intermittent Wipers,Rear Defogger,Wide Tires VIN:1N4BL4DV2KC208269, Stock No:19562N, Please Call Miller Nissan, 930 Kings Highway East, Fairfield, CT At 203 367-5050 And Get Millerized! Mention You Saw This Vehicle On Bargain News Online. Deep Blue Pearl, 4 mi, Cruise,PS,PW,Power Locks,p mirrors,Clock,Digital Info Center,Tilt,Telescoping Steering Wheel,Steering Wheel Radio Controls,satellite radio,Passenger Airbag,Side Airbags,Keyless Entry,ABS,Traction Control,Dynamic Stability,Security System,Intermittent Wipers,Rear Defogger VIN:1N4BL4BW2KC207313, Stock No:19509N, Please Call Miller Nissan, 930 Kings Highway East, Fairfield, CT At 203 367-5050 And Get Millerized! Mention You Saw This Vehicle On Bargain News Online. 2019 Nissan Altima 11 mi. Super Black, 11 mi, Climate Control,Dual Zone Climate Control,Cruise,PS,PW,Power Locks,p mirrors,Leather Steering Wheel,Power Passenger Seat,Heated Seat,Clock,Digital Info Center,Navigation System,Homelink System,Tilt,Telescoping Steering Wheel,Steering Wheel Radio Controls,Sunroof,satellite radio,Passenger Airbag,Side Airbags,Keyless Entry,ABS,Traction Control,Dynamic Stability,Security System,Fog Lights,Intermittent Wipers,Rear Defogger,Wide Tires VIN:1N4BL4EW2KC194073, Stock No:19510N, Please Call Miller Nissan, 930 Kings Highway East, Fairfield, CT At 203 367-5050 And Get Millerized! Mention You Saw This Vehicle On Bargain News Online. 2019 Nissan Altima $21,663 44 mi. $21,663, Glacier White, 44 mi, Cruise,PS,PW,Power Locks,p mirrors,Clock,Digital Info Center,Tilt,Telescoping Steering Wheel,Steering Wheel Radio Controls,satellite radio,Passenger Airbag,Side Airbags,Keyless Entry,ABS,Traction Control,Dynamic Stability,Security System,Intermittent Wipers,Rear Defogger VIN:1N4BL4BV9KC206361, Stock No:19518N, Please Call Miller Nissan, 930 Kings Highway East, Fairfield, CT At 203 367-5050 And Get Millerized! Mention You Saw This Vehicle On Bargain News Online. Blue Metallic, 3 mi, Climate Control,Dual Zone Climate Control,Cruise,PS,PW,Power Locks,p mirrors,Leather Steering Wheel,Heated Seat,Clock,Digital Info Center,Homelink System,Tilt,Telescoping Steering Wheel,Steering Wheel Radio Controls,Sunroof,satellite radio,Passenger Airbag,Side Airbags,Keyless Entry,ABS,Traction Control,Dynamic Stability,Security System,Fog Lights,Intermittent Wipers,Rear Defogger,Wide Tires VIN:1N4BL4DW1KC190209, Stock No:19486N, Please Call Miller Nissan, 930 Kings Highway East, Fairfield, CT At 203 367-5050 And Get Millerized! Mention You Saw This Vehicle On Bargain News Online. Gun Metallic, 3 mi, Cruise,PS,PW,Power Locks,p mirrors,Clock,Digital Info Center,Tilt,Telescoping Steering Wheel,Steering Wheel Radio Controls,satellite radio,Passenger Airbag,Side Airbags,Keyless Entry,ABS,Traction Control,Dynamic Stability,Security System,Intermittent Wipers,Rear Defogger VIN:1N4BL4BW7KC204584, Stock No:19498N, Please Call Miller Nissan, 930 Kings Highway East, Fairfield, CT At 203 367-5050 And Get Millerized! Mention You Saw This Vehicle On Bargain News Online. 2019 Nissan Altima 9 mi. Super Black, 9 mi, Cruise,PS,PW,Power Locks,p mirrors,Leather Steering Wheel,Clock,Digital Info Center,Tilt,Telescoping Steering Wheel,Steering Wheel Radio Controls,Rear Spoiler,satellite radio,Passenger Airbag,Side Airbags,Keyless Entry,ABS,Traction Control,Dynamic Stability,Security System,Intermittent Wipers,Rear Defogger,Wide Tires VIN:1N4BL4CW7KN320452, Stock No:19475N, Please Call Miller Nissan, 930 Kings Highway East, Fairfield, CT At 203 367-5050 And Get Millerized! Mention You Saw This Vehicle On Bargain News Online. Deep Blue Pearl, 4 mi, Cruise,PS,PW,Power Locks,p mirrors,Clock,Digital Info Center,Tilt,Telescoping Steering Wheel,Steering Wheel Radio Controls,satellite radio,Passenger Airbag,Side Airbags,Keyless Entry,ABS,Traction Control,Dynamic Stability,Security System,Intermittent Wipers,Rear Defogger VIN:1N4BL4BW6KC203698, Stock No:19500N, Please Call Miller Nissan, 930 Kings Highway East, Fairfield, CT At 203 367-5050 And Get Millerized! Mention You Saw This Vehicle On Bargain News Online. Super Black, 4 mi, Cruise,PS,PW,Power Locks,p mirrors,Clock,Digital Info Center,Tilt,Telescoping Steering Wheel,Steering Wheel Radio Controls,satellite radio,Passenger Airbag,Side Airbags,Keyless Entry,ABS,Traction Control,Dynamic Stability,Security System,Intermittent Wipers,Rear Defogger VIN:1N4BL4BW9KC188453, Stock No:19488N, Please Call Miller Nissan, 930 Kings Highway East, Fairfield, CT At 203 367-5050 And Get Millerized! Mention You Saw This Vehicle On Bargain News Online. Gun Metallic, 4 mi, Cruise,PS,PW,Power Locks,p mirrors,Leather Steering Wheel,Clock,Digital Info Center,Tilt,Telescoping Steering Wheel,Steering Wheel Radio Controls,Rear Spoiler,satellite radio,Passenger Airbag,Side Airbags,Keyless Entry,ABS,Traction Control,Dynamic Stability,Security System,Intermittent Wipers,Rear Defogger,Wide Tires VIN:1N4BL4CW1KC181608, Stock No:19487N, Please Call Miller Nissan, 930 Kings Highway East, Fairfield, CT At 203 367-5050 And Get Millerized! Mention You Saw This Vehicle On Bargain News Online. 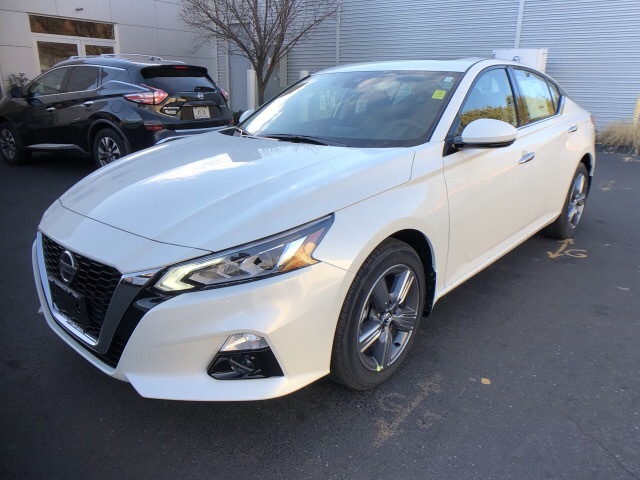 Pearl White, 6 mi, Pearl White 2019 Nissan Altima 2.5 SL AWD CVT with Xtronic 2.5L 4-Cylinder. 26/36 City/Highway MPG Climate Control,Dual Zone Climate Control,Cruise,PS,PW,Power Locks,p mirrors,Leather Steering Wheel,Power Passenger Seat,Heated Seat,Clock,Digital Info Center,Navigation System,Homelink System,Tilt,Telescoping Steering Wheel,Steering Wheel Radio Controls,Sunroof,satellite radio,Passenger Airbag,Side Airbags,Keyless Entry,ABS,Traction Control,Dynamic Stability,Security System,Fog Lights,Intermittent Wipers,Rear Defogger,Wide Tires VIN:1N4BL4EW6KC161366, Stock No:19252N, Please Call Miller Nissan, 930 Kings Highway East, Fairfield, CT At 203 367-5050 And Get Millerized! Mention You Saw This Vehicle On Bargain News Online. Gun Metallic, 4 mi, Gun Metallic 2019 Nissan Altima 2.5 SV FWD CVT with Xtronic 2.5L 4-Cylinder. 28/39 City/Highway MPG Climate Control,Dual Zone Climate Control,Cruise,PS,PW,Power Locks,p mirrors,Leather Steering Wheel,Heated Seat,Clock,Digital Info Center,Homelink System,Tilt,Telescoping Steering Wheel,Steering Wheel Radio Controls,Sunroof,satellite radio,Passenger Airbag,Side Airbags,Keyless Entry,ABS,Traction Control,Dynamic Stability,Security System,Fog Lights,Intermittent Wipers,Rear Defogger,Wide Tires VIN:1N4BL4DV2KC145397, Stock No:19257N, Please Call Miller Nissan, 930 Kings Highway East, Fairfield, CT At 203 367-5050 And Get Millerized! Mention You Saw This Vehicle On Bargain News Online. 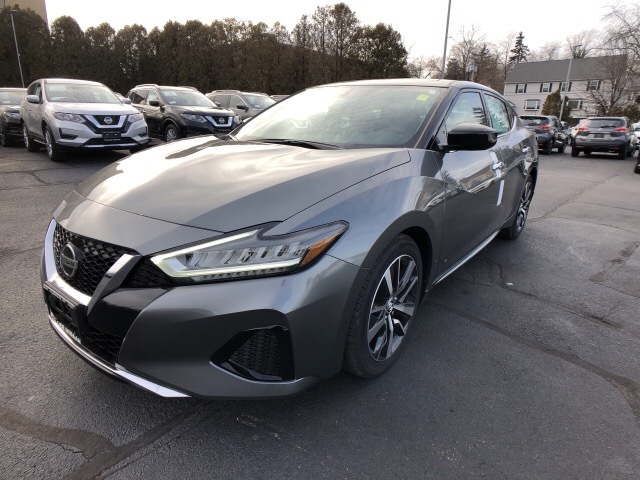 Brilliant Silver Metallic, 4 mi, Brilliant Silver Metallic 2019 Nissan Altima 2.5 SV AWD CVT with Xtronic 2.5L 4-Cylinder CVT with Xtronic. 26/36 City/Highway MPG Climate Control,Dual Zone Climate Control,Cruise,PS,PW,Power Locks,p mirrors,Leather Steering Wheel,Heated Seat,Clock,Digital Info Center,Homelink System,Tilt,Telescoping Steering Wheel,Steering Wheel Radio Controls,Sunroof,satellite radio,Passenger Airbag,Side Airbags,Keyless Entry,ABS,Traction Control,Dynamic Stability,Security System,Fog Lights,Intermittent Wipers,Rear Defogger,Wide Tires VIN:1N4BL4DW2KC157817, Stock No:19225N, Please Call Miller Nissan, 930 Kings Highway East, Fairfield, CT At 203 367-5050 And Get Millerized! Mention You Saw This Vehicle On Bargain News Online. Blue Metallic, 4 mi, Blue Metallic 2019 Nissan Altima 2.5 SV AWD CVT with Xtronic 2.5L 4-Cylinder CVT with Xtronic. 26/36 City/Highway MPG Climate Control,Dual Zone Climate Control,Cruise,PS,PW,Power Locks,p mirrors,Leather Steering Wheel,Heated Seat,Clock,Digital Info Center,Homelink System,Tilt,Telescoping Steering Wheel,Steering Wheel Radio Controls,Sunroof,CD,satellite radio,Passenger Airbag,Side Airbags,Keyless Entry,ABS,Traction Control,Dynamic Stability,Security System,Fog Lights,Intermittent Wipers,Rear Defogger,Wide Tires VIN:1N4BL4DW2KC129158, Stock No:19142N, Please Call Miller Nissan, 930 Kings Highway East, Fairfield, CT At 203 367-5050 And Get Millerized! Mention You Saw This Vehicle On Bargain News Online. Pearl White, 4 mi, Pearl White 2019 Nissan Altima 2.5 SV AWD CVT with Xtronic 2.5L 4-Cylinder. 26/36 City/Highway MPG Climate Control,Dual Zone Climate Control,Cruise,PS,PW,Power Locks,p mirrors,Leather Steering Wheel,Heated Seat,Clock,Digital Info Center,Homelink System,Tilt,Telescoping Steering Wheel,Steering Wheel Radio Controls,Sunroof,CD,satellite radio,Passenger Airbag,Side Airbags,Keyless Entry,ABS,Traction Control,Dynamic Stability,Security System,Fog Lights,Intermittent Wipers,Rear Defogger,Wide Tires VIN:1N4BL4DW4KC133325, Stock No:19109N, Please Call Miller Nissan, 930 Kings Highway East, Fairfield, CT At 203 367-5050 And Get Millerized! Mention You Saw This Vehicle On Bargain News Online. 2019 Nissan Altima 7 mi. Pearl White, 7 mi, Pearl White 2019 Nissan Altima 2.5 SV AWD CVT with Xtronic 2.5L 4-Cylinder. 26/36 City/Highway MPG Climate Control,Dual Zone Climate Control,Cruise,PS,PW,Power Locks,p mirrors,Leather Steering Wheel,Heated Seat,Clock,Digital Info Center,Homelink System,Tilt,Telescoping Steering Wheel,Steering Wheel Radio Controls,Sunroof,CD,satellite radio,Passenger Airbag,Side Airbags,Keyless Entry,ABS,Traction Control,Dynamic Stability,Security System,Fog Lights,Intermittent Wipers,Rear Defogger,Wide Tires VIN:1N4BL4DW6KC140406, Stock No:19110N, Please Call Miller Nissan, 930 Kings Highway East, Fairfield, CT At 203 367-5050 And Get Millerized! Mention You Saw This Vehicle On Bargain News Online. Super Black, 6 mi, Super Black 2019 Nissan Altima 2.5 SV AWD CVT with Xtronic 2.5L 4-Cylinder CVT with Xtronic. 26/36 City/Highway MPG Climate Control,Dual Zone Climate Control,Cruise,PS,PW,Power Locks,p mirrors,Leather Steering Wheel,Heated Seat,Clock,Digital Info Center,Homelink System,Tilt,Telescoping Steering Wheel,Steering Wheel Radio Controls,Sunroof,CD,satellite radio,Passenger Airbag,Side Airbags,Keyless Entry,ABS,Traction Control,Dynamic Stability,Security System,Fog Lights,Intermittent Wipers,Rear Defogger,Wide Tires VIN:1N4BL4DW3KC141092, Stock No:19124N, Please Call Miller Nissan, 930 Kings Highway East, Fairfield, CT At 203 367-5050 And Get Millerized! Mention You Saw This Vehicle On Bargain News Online. 2019 Nissan Altima 28 mi. 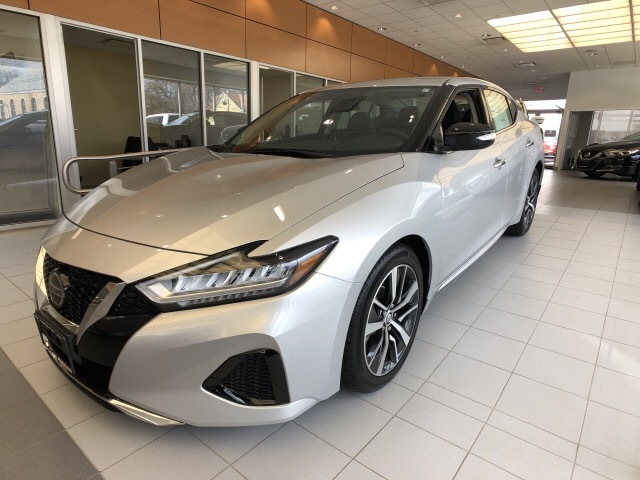 Brilliant Silver Metallic, 28 mi, Brilliant Silver Metallic 2019 Nissan Altima 2.5 SR AWD CVT with Xtronic 2.5L 4-Cylinder. 25/35 City/Highway MPG Cruise Control,PS,PW,Power Locks,p mirrors,Leather Steering Wheel,Clock,Digital Info Center,Tilt,Telescoping Steering Wheel,Steering Wheel Radio Controls,Rear Spoiler,CD,satellite radio,Passenger Airbag,Side Airbags,Keyless Entry,ABS,Traction Control,Dynamic Stability,Security System,Intermittent Wipers,Rear Defogger,Wide Tires VIN:1N4BL4CW0KN300981, Stock No:19131N, Please Call Miller Nissan, 930 Kings Highway East, Fairfield, CT At 203 367-5050 And Get Millerized! Mention You Saw This Vehicle On Bargain News Online. 2019 Nissan Armada 2 mi. Super Black, 2 mi, Climate Control,Dual Zone Climate Control,Cruise,Tinted Windows,PS,PW,Power Locks,p mirrors,Leather Steering Wheel,Power Passenger Seat,Memory Seat Position,Heated Seat,Tow Package,Running Boards,Third Seat,Rear Air Conditioning,Wood Trim,Clock,Digital Info Center,Navigation System,Homelink System,Tilt,Telescoping Steering Wheel,Steering Wheel Radio Controls,Rear Spoiler,CD,satellite radio,Passenger Airbag,Side Airbags,Keyless Entry,ABS,Traction Control,Dynamic Stability,Security System,Fog Lights,Intermittent Wipers,Rear Defogger VIN:JN8AY2NC8K9584470, Stock No:19541N, Please Call Miller Nissan, 930 Kings Highway East, Fairfield, CT At 203 367-5050 And Get Millerized! Mention You Saw This Vehicle On Bargain News Online. 2019 Nissan Armada 5 mi. Pearl White, 5 mi, Climate Control,Dual Zone Climate Control,Cruise,Air Conditioned Seats,Tinted Windows,PS,PW,Power Locks,p mirrors,Leather Steering Wheel,Power Passenger Seat,Memory Seat Position,Heated Seat,Tow Package,Running Boards,Third Seat,Rear Air Conditioning,Wood Trim,Clock,Digital Info Center,Navigation System,Homelink System,Tilt,Telescoping Steering Wheel,Steering Wheel Radio Controls,Rear Spoiler,Sunroof,Video System,CD,satellite radio,DVD Player,Passenger Airbag,Side Airbags,Keyless Entry,ABS,Traction Control,Dynamic Stability,Security System,Fog Lights,Intermittent Wipers,Rear Defogger VIN:JN8AY2NE7K9758367, Stock No:19540N, Please Call Miller Nissan, 930 Kings Highway East, Fairfield, CT At 203 367-5050 And Get Millerized! Mention You Saw This Vehicle On Bargain News Online. 2019 Nissan Frontier 6 mi. Gun Metallic, 6 mi, Cruise,Tinted Windows,PS,PW,Power Locks,p mirrors,Tow Package,Clock,Tilt,Telescoping Steering Wheel,Steering Wheel Radio Controls,Passenger Airbag,Side Airbags,Keyless Entry,ABS,Traction Control,Dynamic Stability,Security System,Intermittent Wipers,Sliding Rear Window VIN:1N6AD0CW6KN752152, Stock No:19533N, Please Call Miller Nissan, 930 Kings Highway East, Fairfield, CT At 203 367-5050 And Get Millerized! Mention You Saw This Vehicle On Bargain News Online. 2019 Nissan Frontier 7 mi. Magnetic Black Pearl, 7 mi, Cruise,Tinted Windows,PS,PW,Power Locks,p mirrors,Tow Package,Clock,Tilt,Telescoping Steering Wheel,Steering Wheel Radio Controls,Passenger Airbag,Side Airbags,Keyless Entry,ABS,Traction Control,Dynamic Stability,Security System,Intermittent Wipers,Sliding Rear Window VIN:1N6AD0CW2KN752889, Stock No:19567N, Please Call Miller Nissan, 930 Kings Highway East, Fairfield, CT At 203 367-5050 And Get Millerized! Mention You Saw This Vehicle On Bargain News Online. 2019 Nissan Frontier 5 mi. Brilliant Silver Metallic, 5 mi, Cruise,Tinted Windows,PS,PW,Power Locks,p mirrors,Tow Package,Clock,Tilt,Telescoping Steering Wheel,Steering Wheel Radio Controls,Passenger Airbag,Side Airbags,Keyless Entry,ABS,Traction Control,Dynamic Stability,Security System,Intermittent Wipers,Sliding Rear Window VIN:1N6AD0CW3KN756093, Stock No:19566N, Please Call Miller Nissan, 930 Kings Highway East, Fairfield, CT At 203 367-5050 And Get Millerized! Mention You Saw This Vehicle On Bargain News Online. 2019 Nissan Frontier 4 mi. Glacier White, 4 mi, Cruise,Tinted Windows,PS,PW,Power Locks,p mirrors,Tow Package,Clock,Tilt,Telescoping Steering Wheel,Steering Wheel Radio Controls,Passenger Airbag,Side Airbags,Keyless Entry,ABS,Traction Control,Dynamic Stability,Security System,Intermittent Wipers,Sliding Rear Window VIN:1N6AD0CW6KN754600, Stock No:19572N, Please Call Miller Nissan, 930 Kings Highway East, Fairfield, CT At 203 367-5050 And Get Millerized! Mention You Saw This Vehicle On Bargain News Online. 2019 Nissan Frontier 9 mi. Glacier White, 9 mi, Cruise,Tinted Windows,PS,PW,Power Locks,p mirrors,Tow Package,Clock,Tilt,Telescoping Steering Wheel,Steering Wheel Radio Controls,Passenger Airbag,Side Airbags,Keyless Entry,ABS,Traction Control,Dynamic Stability,Security System,Intermittent Wipers,Sliding Rear Window VIN:1N6AD0EV0KN740499, Stock No:19379N, Please Call Miller Nissan, 930 Kings Highway East, Fairfield, CT At 203 367-5050 And Get Millerized! Mention You Saw This Vehicle On Bargain News Online. 2019 Nissan Frontier 11 mi. Glacier White, 11 mi, Cruise,Tinted Windows,PS,PW,Power Locks,p mirrors,Tow Package,Clock,Tilt,Telescoping Steering Wheel,Steering Wheel Radio Controls,Passenger Airbag,Side Airbags,Keyless Entry,ABS,Traction Control,Dynamic Stability,Security System,Intermittent Wipers,Sliding Rear Window VIN:1N6AD0FV0KN743224, Stock No:19477N, Please Call Miller Nissan, 930 Kings Highway East, Fairfield, CT At 203 367-5050 And Get Millerized! Mention You Saw This Vehicle On Bargain News Online. 2019 Nissan Frontier 10 mi. Glacier White, 10 mi, Glacier White 2019 Nissan Frontier SV 4WD Automatic 4.0L 6-Cylinder 4WD. Cruise Control,Tinted Windows,PS,PW,Power Locks,p mirrors,Tow Package,Clock,Tilt,Telescoping Steering Wheel,Steering Wheel Radio Controls,Passenger Airbag,Side Airbags,Keyless Entry,ABS,Traction Control,Dynamic Stability,Security System,Intermittent Wipers,Sliding Rear Window VIN:1N6AD0EV9KN712586, Stock No:19012N, Please Call Miller Nissan, 930 Kings Highway East, Fairfield, CT At 203 367-5050 And Get Millerized! Mention You Saw This Vehicle On Bargain News Online. Gun Metallic, 7 mi, Gun Metallic 2019 Nissan Frontier SV 4WD Automatic 4.0L 6-Cylinder 4WD. Cruise Control,Tinted Windows,PS,PW,Power Locks,p mirrors,Tow Package,Clock,Tilt,Telescoping Steering Wheel,Steering Wheel Radio Controls,Passenger Airbag,Side Airbags,Keyless Entry,ABS,Traction Control,Dynamic Stability,Security System,Intermittent Wipers,Sliding Rear Window VIN:1N6AD0EV8KN711090, Stock No:19010N, Please Call Miller Nissan, 930 Kings Highway East, Fairfield, CT At 203 367-5050 And Get Millerized! Mention You Saw This Vehicle On Bargain News Online. Glacier White, 6 mi, Glacier White 2019 Nissan Frontier SV 4WD Automatic 4.0L 6-Cylinder 4WD. Recent Arrival! Cruise Control,Tinted Windows,PS,PW,Power Locks,p mirrors,Tow Package,Clock,Tilt,Telescoping Steering Wheel,Steering Wheel Radio Controls,Passenger Airbag,Side Airbags,Keyless Entry,ABS,Traction Control,Dynamic Stability,Security System,Intermittent Wipers,Sliding Rear Window VIN:1N6AD0FVXKN734837, Stock No:19271N, Please Call Miller Nissan, 930 Kings Highway East, Fairfield, CT At 203 367-5050 And Get Millerized! Mention You Saw This Vehicle On Bargain News Online. Brilliant Silver Metallic, 7 mi, Brilliant Silver Metallic 2019 Nissan Frontier SV 4WD Automatic 4.0L 6-Cylinder 4WD. Recent Arrival! Cruise Control,Tinted Windows,PS,PW,Power Locks,p mirrors,Tow Package,Clock,Tilt,Telescoping Steering Wheel,Steering Wheel Radio Controls,Passenger Airbag,Side Airbags,Keyless Entry,ABS,Traction Control,Dynamic Stability,Security System,Intermittent Wipers,Sliding Rear Window VIN:1N6AD0FV8KN734092, Stock No:19302N, Please Call Miller Nissan, 930 Kings Highway East, Fairfield, CT At 203 367-5050 And Get Millerized! Mention You Saw This Vehicle On Bargain News Online. Brilliant Silver Metallic, 4 mi, Cruise,Tinted Windows,PS,PW,Power Locks,p mirrors,Tow Package,Clock,Tilt,Telescoping Steering Wheel,Steering Wheel Radio Controls,Passenger Airbag,Side Airbags,Keyless Entry,ABS,Traction Control,Dynamic Stability,Security System,Intermittent Wipers,Sliding Rear Window VIN:1N6AD0FV3KN753231, Stock No:19568N, Please Call Miller Nissan, 930 Kings Highway East, Fairfield, CT At 203 367-5050 And Get Millerized! Mention You Saw This Vehicle On Bargain News Online. 2019 Nissan Kicks 5 mi. Aspen White, 5 mi, Climate Control,Cruise,PS,PW,Power Locks,p mirrors,Leather Steering Wheel,Clock,Digital Info Center,Tilt,Telescoping Steering Wheel,Steering Wheel Radio Controls,Rear Spoiler,satellite radio,Passenger Airbag,Side Airbags,Keyless Entry,ABS,Traction Control,Dynamic Stability,Security System,Fog Lights,Intermittent Wipers,Rear Defogger,Wide Tires VIN:3N1CP5CU5KL515329, Stock No:19614N, Please Call Miller Nissan, 930 Kings Highway East, Fairfield, CT At 203 367-5050 And Get Millerized! Mention You Saw This Vehicle On Bargain News Online. Brilliant Silver Metallic, 5 mi, Cruise,PS,PW,Power Locks,p mirrors,Clock,Digital Info Center,Tilt,Telescoping Steering Wheel,Steering Wheel Radio Controls,Passenger Airbag,Side Airbags,Keyless Entry,ABS,Traction Control,Dynamic Stability,Security System,Intermittent Wipers,Rear Defogger VIN:3N1CP5CU3KL512025, Stock No:19575N, Please Call Miller Nissan, 930 Kings Highway East, Fairfield, CT At 203 367-5050 And Get Millerized! Mention You Saw This Vehicle On Bargain News Online. 2019 Nissan Kicks 3 mi. Super Black, 3 mi, Climate Control,Cruise,PS,PW,Power Locks,p mirrors,Clock,Digital Info Center,Tilt,Telescoping Steering Wheel,Steering Wheel Radio Controls,satellite radio,Passenger Airbag,Side Airbags,Keyless Entry,ABS,Traction Control,Dynamic Stability,Security System,Intermittent Wipers,Rear Defogger,Wide Tires VIN:3N1CP5CU5KL509241, Stock No:19574N, Please Call Miller Nissan, 930 Kings Highway East, Fairfield, CT At 203 367-5050 And Get Millerized! Mention You Saw This Vehicle On Bargain News Online. Super Black, 3 mi, Climate Control,Cruise,PS,PW,Power Locks,p mirrors,Clock,Digital Info Center,Tilt,Telescoping Steering Wheel,Steering Wheel Radio Controls,satellite radio,Passenger Airbag,Side Airbags,Keyless Entry,ABS,Traction Control,Dynamic Stability,Security System,Intermittent Wipers,Rear Defogger,Wide Tires VIN:3N1CP5CU1KL488985, Stock No:19346N, Please Call Miller Nissan, 930 Kings Highway East, Fairfield, CT At 203 367-5050 And Get Millerized! Mention You Saw This Vehicle On Bargain News Online. 2019 Nissan Leaf 59 mi. Brilliant Silver Metallic, 59 mi, Climate Control,Cruise,PS,PW,Power Locks,p mirrors,Leather Steering Wheel,Clock,Digital Info Center,Navigation System,Tilt,Telescoping Steering Wheel,Steering Wheel Radio Controls,Rear Spoiler,satellite radio,Passenger Airbag,Side Airbags,Keyless Entry,ABS,Traction Control,Dynamic Stability,Security System,Fog Lights,Intermittent Wipers,Rear Defogger,Wide Tires VIN:1N4BZ1CP2KC311045, Stock No:19577N, Please Call Miller Nissan, 930 Kings Highway East, Fairfield, CT At 203 367-5050 And Get Millerized! Mention You Saw This Vehicle On Bargain News Online. 2019 Nissan Maxima 10 mi. Brilliant Silver Metallic, 10 mi, Climate Control,Dual Zone Climate Control,Cruise,PS,PW,Power Locks,p mirrors,Leather Steering Wheel,Power Passenger Seat,Heated Seat,Clock,Digital Info Center,Navigation System,Homelink System,Tilt,Telescoping Steering Wheel,Steering Wheel Radio Controls,CD,satellite radio,Passenger Airbag,Side Airbags,Keyless Entry,ABS,Traction Control,Dynamic Stability,Security System,Intermittent Wipers,Rear Defogger,Wide Tires VIN:1N4AA6AV2KC375362, Stock No:19579N, Please Call Miller Nissan, 930 Kings Highway East, Fairfield, CT At 203 367-5050 And Get Millerized! Mention You Saw This Vehicle On Bargain News Online. 2019 Nissan Maxima 5 mi. Brilliant Silver Metallic, 5 mi, Climate Control,Dual Zone Climate Control,Cruise,PS,PW,Power Locks,p mirrors,Leather Steering Wheel,Power Passenger Seat,Clock,Digital Info Center,Tilt,Telescoping Steering Wheel,Steering Wheel Radio Controls,CD,satellite radio,Passenger Airbag,Side Airbags,Keyless Entry,ABS,Traction Control,Dynamic Stability,Security System,Intermittent Wipers,Rear Defogger,Wide Tires VIN:1N4AA6AV2KC374115, Stock No:19511N, Please Call Miller Nissan, 930 Kings Highway East, Fairfield, CT At 203 367-5050 And Get Millerized! Mention You Saw This Vehicle On Bargain News Online. 2019 Nissan Maxima 6 mi. Brilliant Silver Metallic, 6 mi, Climate Control,Dual Zone Climate Control,Cruise,PS,PW,Power Locks,p mirrors,Leather Steering Wheel,Power Passenger Seat,Heated Seat,Clock,Digital Info Center,Navigation System,Homelink System,Tilt,Telescoping Steering Wheel,Steering Wheel Radio Controls,CD,satellite radio,Passenger Airbag,Side Airbags,Keyless Entry,ABS,Traction Control,Dynamic Stability,Security System,Intermittent Wipers,Rear Defogger,Wide Tires VIN:1N4AA6AV8KC375737, Stock No:19589N, Please Call Miller Nissan, 930 Kings Highway East, Fairfield, CT At 203 367-5050 And Get Millerized! Mention You Saw This Vehicle On Bargain News Online. 2019 Nissan Maxima 211 mi. Super Black, 211 mi, Climate Control,Dual Zone Climate Control,Cruise,Air Conditioned Seats,PS,PW,Power Locks,p mirrors,Leather Steering Wheel,Power Passenger Seat,Heated Seat,Clock,Digital Info Center,Navigation System,Homelink System,Tilt,Telescoping Steering Wheel,Steering Wheel Radio Controls,Rear Spoiler,CD,satellite radio,Passenger Airbag,Side Airbags,Keyless Entry,ABS,Traction Control,Dynamic Stability,Security System,Fog Lights,Intermittent Wipers,Rear Defogger,Wide Tires VIN:1N4AA6AV1KC363400, Stock No:19501N, Please Call Miller Nissan, 930 Kings Highway East, Fairfield, CT At 203 367-5050 And Get Millerized! Mention You Saw This Vehicle On Bargain News Online. 2019 Nissan Maxima 12 mi. Gun Metallic, 12 mi, Climate Control,Dual Zone Climate Control,Cruise,PS,PW,Power Locks,p mirrors,Leather Steering Wheel,Power Passenger Seat,Heated Seat,Clock,Digital Info Center,Navigation System,Homelink System,Tilt,Telescoping Steering Wheel,Steering Wheel Radio Controls,CD,satellite radio,Passenger Airbag,Side Airbags,Keyless Entry,ABS,Traction Control,Dynamic Stability,Security System,Intermittent Wipers,Rear Defogger,Wide Tires VIN:1N4AA6AV8KC369503, Stock No:19492N, Please Call Miller Nissan, 930 Kings Highway East, Fairfield, CT At 203 367-5050 And Get Millerized! Mention You Saw This Vehicle On Bargain News Online. 2019 Nissan Maxima 7 mi. Pearl White, 7 mi, Climate Control,Dual Zone Climate Control,Cruise,PS,PW,Power Locks,p mirrors,Leather Steering Wheel,Power Passenger Seat,Heated Seat,Clock,Digital Info Center,Navigation System,Homelink System,Tilt,Telescoping Steering Wheel,Steering Wheel Radio Controls,CD,satellite radio,Passenger Airbag,Side Airbags,Keyless Entry,ABS,Traction Control,Dynamic Stability,Security System,Intermittent Wipers,Rear Defogger,Wide Tires VIN:1N4AA6AV5KC370432, Stock No:19410N, Please Call Miller Nissan, 930 Kings Highway East, Fairfield, CT At 203 367-5050 And Get Millerized! Mention You Saw This Vehicle On Bargain News Online. Gun Metallic, 5 mi, Climate Control,Dual Zone Climate Control,Cruise,PS,PW,Power Locks,p mirrors,Leather Steering Wheel,Power Passenger Seat,Clock,Digital Info Center,Tilt,Telescoping Steering Wheel,Steering Wheel Radio Controls,CD,satellite radio,Passenger Airbag,Side Airbags,Keyless Entry,ABS,Traction Control,Dynamic Stability,Security System,Intermittent Wipers,Rear Defogger,Wide Tires VIN:1N4AA6AV1KC369309, Stock No:19332N, Please Call Miller Nissan, 930 Kings Highway East, Fairfield, CT At 203 367-5050 And Get Millerized! Mention You Saw This Vehicle On Bargain News Online. 2019 Nissan Maxima 4 mi. Recent Arrival! 20/30 City/Highway MPG Climate Control,Dual Zone Climate Control,Cruise,PS,PW,Power Locks,p mirrors,Leather Steering Wheel,Power Passenger Seat,Heated Seat,Clock,Digital Info Center,Navigation System,Homelink System,Tilt,Telescoping Steering Wheel,Steering Wheel Radio Controls,CD,satellite radio,Passenger Airbag,Side Airbags,Keyless Entry,ABS,Traction Control,Dynamic Stability,Security System,Intermittent Wipers,Rear Defogger,Wide Tires VIN:1N4AA6AV2KC366497, Stock No:19294N, Please Call Miller Nissan, 930 Kings Highway East, Fairfield, CT At 203 367-5050 And Get Millerized! Mention You Saw This Vehicle On Bargain News Online. Recent Arrival! 20/30 City/Highway MPG Climate Control,Dual Zone Climate Control,Cruise,PS,PW,Power Locks,p mirrors,Leather Steering Wheel,Power Passenger Seat,Heated Seat,Clock,Digital Info Center,Navigation System,Homelink System,Tilt,Telescoping Steering Wheel,Steering Wheel Radio Controls,CD,satellite radio,Passenger Airbag,Side Airbags,Keyless Entry,ABS,Traction Control,Dynamic Stability,Security System,Intermittent Wipers,Rear Defogger,Wide Tires VIN:1N4AA6AV7KC367385, Stock No:19281N, Please Call Miller Nissan, 930 Kings Highway East, Fairfield, CT At 203 367-5050 And Get Millerized! Mention You Saw This Vehicle On Bargain News Online. Recent Arrival! 20/30 City/Highway MPG Climate Control,Dual Zone Climate Control,Cruise,Air Conditioned Seats,PS,PW,Power Locks,p mirrors,Leather Steering Wheel,Power Passenger Seat,Heated Seat,Clock,Digital Info Center,Navigation System,Homelink System,Tilt,Telescoping Steering Wheel,Steering Wheel Radio Controls,Rear Spoiler,CD,satellite radio,Passenger Airbag,Side Airbags,Keyless Entry,ABS,Traction Control,Dynamic Stability,Security System,Fog Lights,Intermittent Wipers,Rear Defogger,Wide Tires VIN:1N4AA6AV6KC362873, Stock No:19254N, Please Call Miller Nissan, 930 Kings Highway East, Fairfield, CT At 203 367-5050 And Get Millerized! Mention You Saw This Vehicle On Bargain News Online. Recent Arrival! 20/30 City/Highway MPG Climate Control,Dual Zone Climate Control,Cruise,PS,PW,Power Locks,p mirrors,Leather Steering Wheel,Power Passenger Seat,Heated Seat,Clock,Digital Info Center,Navigation System,Tilt,Telescoping Steering Wheel,Steering Wheel Radio Controls,CD,satellite radio,Passenger Airbag,Side Airbags,Keyless Entry,ABS,Traction Control,Dynamic Stability,Security System,Intermittent Wipers,Rear Defogger,Wide Tires VIN:1N4AA6AV2KC360019, Stock No:19253N, Please Call Miller Nissan, 930 Kings Highway East, Fairfield, CT At 203 367-5050 And Get Millerized! Mention You Saw This Vehicle On Bargain News Online. Brilliant Silver Metallic, 7 mi, Climate Control,Dual Zone Climate Control,Cruise,PS,PW,Power Locks,p mirrors,Leather Steering Wheel,Power Passenger Seat,Heated Seat,Clock,Digital Info Center,Navigation System,Homelink System,Tilt,Telescoping Steering Wheel,Steering Wheel Radio Controls,CD,satellite radio,Passenger Airbag,Side Airbags,Keyless Entry,ABS,Traction Control,Dynamic Stability,Security System,Intermittent Wipers,Rear Defogger,Wide Tires VIN:1N4AA6AV7KC375423, Stock No:19601N, Please Call Miller Nissan, 930 Kings Highway East, Fairfield, CT At 203 367-5050 And Get Millerized! Mention You Saw This Vehicle On Bargain News Online. Gun Metallic, 5 mi, Climate Control,Dual Zone Climate Control,Cruise,Air Conditioned Seats,PS,PW,Power Locks,p mirrors,Leather Steering Wheel,Power Passenger Seat,Heated Seat,Clock,Digital Info Center,Navigation System,Homelink System,Tilt,Telescoping Steering Wheel,Steering Wheel Radio Controls,Rear Spoiler,CD,satellite radio,Passenger Airbag,Side Airbags,Keyless Entry,ABS,Traction Control,Dynamic Stability,Security System,Fog Lights,Intermittent Wipers,Rear Defogger,Wide Tires VIN:1N4AA6AV7KC376328, Stock No:19616N, Please Call Miller Nissan, 930 Kings Highway East, Fairfield, CT At 203 367-5050 And Get Millerized! Mention You Saw This Vehicle On Bargain News Online. 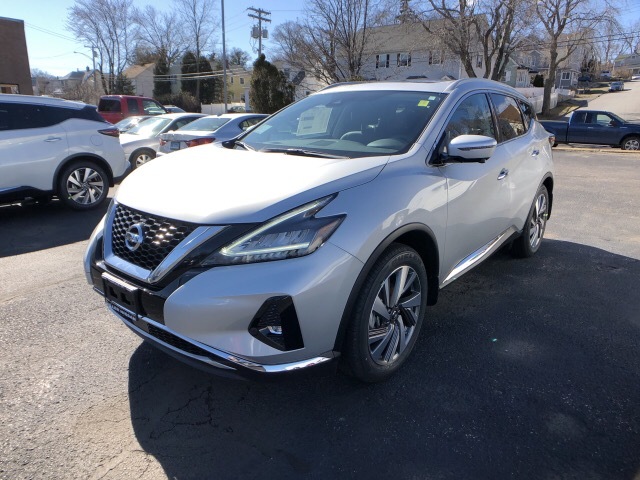 2019 Nissan Murano 4 mi. Magnetic Black Pearl, 4 mi, Climate Control,Dual Zone Climate Control,Cruise,Tinted Windows,PS,PW,Power Locks,p mirrors,Leather Steering Wheel,Power Passenger Seat,Clock,Digital Info Center,Navigation System,Homelink System,Tilt,Telescoping Steering Wheel,Steering Wheel Radio Controls,Rear Spoiler,CD,satellite radio,Passenger Airbag,Side Airbags,Keyless Entry,ABS,Traction Control,Dynamic Stability,Security System,Intermittent Wipers,Rear Defogger VIN:5N1AZ2MS8KN117442, Stock No:19478N, Please Call Miller Nissan, 930 Kings Highway East, Fairfield, CT At 203 367-5050 And Get Millerized! Mention You Saw This Vehicle On Bargain News Online. 2019 Nissan Murano 7 mi. Cayenne Red Pearl, 7 mi, Climate Control,Dual Zone Climate Control,Cruise,Air Conditioned Seats,Tinted Windows,PS,PW,Power Locks,p mirrors,Leather Steering Wheel,Power Passenger Seat,Memory Seat Position,Heated Seat,Clock,Digital Info Center,Navigation System,Homelink System,Tilt,Telescoping Steering Wheel,Steering Wheel Radio Controls,Rear Spoiler,Sunroof,CD,satellite radio,Passenger Airbag,Side Airbags,Keyless Entry,ABS,Traction Control,Dynamic Stability,Security System,Fog Lights,Intermittent Wipers,Rear Defogger,Wide Tires VIN:5N1AZ2MSXKN116504, Stock No:19480N, Please Call Miller Nissan, 930 Kings Highway East, Fairfield, CT At 203 367-5050 And Get Millerized! Mention You Saw This Vehicle On Bargain News Online. 2019 Nissan Murano 9 mi. Cayenne Red Pearl, 9 mi, Climate Control,Dual Zone Climate Control,Cruise,Tinted Windows,PS,PW,Power Locks,p mirrors,Leather Steering Wheel,Power Passenger Seat,Clock,Digital Info Center,Navigation System,Homelink System,Tilt,Telescoping Steering Wheel,Steering Wheel Radio Controls,Rear Spoiler,CD,satellite radio,Passenger Airbag,Side Airbags,Keyless Entry,ABS,Traction Control,Dynamic Stability,Security System,Intermittent Wipers,Rear Defogger VIN:5N1AZ2MS7KN116816, Stock No:19479N, Please Call Miller Nissan, 930 Kings Highway East, Fairfield, CT At 203 367-5050 And Get Millerized! Mention You Saw This Vehicle On Bargain News Online. 2019 Nissan Murano 8 mi. Brilliant Silver Metallic, 8 mi, Climate Control,Dual Zone Climate Control,Cruise,Tinted Windows,PS,PW,Power Locks,p mirrors,Leather Steering Wheel,Power Passenger Seat,Memory Seat Position,Heated Seat,Clock,Digital Info Center,Navigation System,Homelink System,Tilt,Telescoping Steering Wheel,Steering Wheel Radio Controls,Rear Spoiler,CD,satellite radio,Passenger Airbag,Side Airbags,Keyless Entry,ABS,Traction Control,Dynamic Stability,Security System,Fog Lights,Intermittent Wipers,Rear Defogger,Wide Tires VIN:5N1AZ2MS6KN114653, Stock No:19461N, Please Call Miller Nissan, 930 Kings Highway East, Fairfield, CT At 203 367-5050 And Get Millerized! Mention You Saw This Vehicle On Bargain News Online. Brilliant Silver Metallic, 4 mi, Climate Control,Dual Zone Climate Control,Cruise,Tinted Windows,PS,PW,Power Locks,p mirrors,Leather Steering Wheel,Power Passenger Seat,Memory Seat Position,Heated Seat,Clock,Digital Info Center,Navigation System,Homelink System,Tilt,Telescoping Steering Wheel,Steering Wheel Radio Controls,Rear Spoiler,CD,satellite radio,Passenger Airbag,Side Airbags,Keyless Entry,ABS,Traction Control,Dynamic Stability,Security System,Fog Lights,Intermittent Wipers,Rear Defogger,Wide Tires VIN:5N1AZ2MS4KN114571, Stock No:19413N, Please Call Miller Nissan, 930 Kings Highway East, Fairfield, CT At 203 367-5050 And Get Millerized! Mention You Saw This Vehicle On Bargain News Online. 2019 Nissan Murano 6 mi. Gun Metallic, 6 mi, Climate Control,Dual Zone Climate Control,Cruise,Tinted Windows,PS,PW,Power Locks,p mirrors,Leather Steering Wheel,Power Passenger Seat,Memory Seat Position,Heated Seat,Clock,Digital Info Center,Navigation System,Homelink System,Tilt,Telescoping Steering Wheel,Steering Wheel Radio Controls,Rear Spoiler,CD,satellite radio,Passenger Airbag,Side Airbags,Keyless Entry,ABS,Traction Control,Dynamic Stability,Security System,Fog Lights,Intermittent Wipers,Rear Defogger,Wide Tires VIN:5N1AZ2MS8KN117103, Stock No:19416N, Please Call Miller Nissan, 930 Kings Highway East, Fairfield, CT At 203 367-5050 And Get Millerized! Mention You Saw This Vehicle On Bargain News Online. Pearl White, 8 mi, Climate Control,Dual Zone Climate Control,Cruise,Tinted Windows,PS,PW,Power Locks,p mirrors,Leather Steering Wheel,Power Passenger Seat,Memory Seat Position,Heated Seat,Clock,Digital Info Center,Navigation System,Homelink System,Tilt,Telescoping Steering Wheel,Steering Wheel Radio Controls,Rear Spoiler,CD,satellite radio,Passenger Airbag,Side Airbags,Keyless Entry,ABS,Traction Control,Dynamic Stability,Security System,Fog Lights,Intermittent Wipers,Rear Defogger,Wide Tires VIN:5N1AZ2MSXKN115059, Stock No:19415N, Please Call Miller Nissan, 930 Kings Highway East, Fairfield, CT At 203 367-5050 And Get Millerized! Mention You Saw This Vehicle On Bargain News Online. Brilliant Silver Metallic, 9 mi, Climate Control,Dual Zone Climate Control,Cruise,Tinted Windows,PS,PW,Power Locks,p mirrors,Clock,Digital Info Center,Navigation System,Tilt,Telescoping Steering Wheel,Steering Wheel Radio Controls,Rear Spoiler,CD,satellite radio,Passenger Airbag,Side Airbags,Keyless Entry,ABS,Traction Control,Dynamic Stability,Security System,Intermittent Wipers,Rear Defogger VIN:5N1AZ2MS2KN115282, Stock No:19402N, Please Call Miller Nissan, 930 Kings Highway East, Fairfield, CT At 203 367-5050 And Get Millerized! Mention You Saw This Vehicle On Bargain News Online. Gun Metallic, 9 mi, Climate Control,Dual Zone Climate Control,Cruise,Tinted Windows,PS,PW,Power Locks,p mirrors,Clock,Digital Info Center,Navigation System,Tilt,Telescoping Steering Wheel,Steering Wheel Radio Controls,Rear Spoiler,CD,satellite radio,Passenger Airbag,Side Airbags,Keyless Entry,ABS,Traction Control,Dynamic Stability,Security System,Intermittent Wipers,Rear Defogger VIN:5N1AZ2MS9KN114081, Stock No:19401N, Please Call Miller Nissan, 930 Kings Highway East, Fairfield, CT At 203 367-5050 And Get Millerized! Mention You Saw This Vehicle On Bargain News Online. 2019 Nissan Murano 5 mi. Gun Metallic, 5 mi, Climate Control,Dual Zone Climate Control,Cruise,Tinted Windows,PS,PW,Power Locks,p mirrors,Leather Steering Wheel,Power Passenger Seat,Memory Seat Position,Heated Seat,Clock,Digital Info Center,Navigation System,Homelink System,Tilt,Telescoping Steering Wheel,Steering Wheel Radio Controls,Rear Spoiler,CD,satellite radio,Passenger Airbag,Side Airbags,Keyless Entry,ABS,Traction Control,Dynamic Stability,Security System,Fog Lights,Intermittent Wipers,Rear Defogger,Wide Tires VIN:5N1AZ2MS1KN106928, Stock No:19307N, Please Call Miller Nissan, 930 Kings Highway East, Fairfield, CT At 203 367-5050 And Get Millerized! Mention You Saw This Vehicle On Bargain News Online. 2019 Nissan Murano 12 mi. Gun Metallic, 12 mi, Climate Control,Dual Zone Climate Control,Cruise,Tinted Windows,PS,PW,Power Locks,p mirrors,Leather Steering Wheel,Power Passenger Seat,Clock,Digital Info Center,Navigation System,Homelink System,Tilt,Telescoping Steering Wheel,Steering Wheel Radio Controls,Rear Spoiler,CD,satellite radio,Passenger Airbag,Side Airbags,Keyless Entry,ABS,Traction Control,Dynamic Stability,Security System,Intermittent Wipers,Rear Defogger VIN:5N1AZ2MS2KN104962, Stock No:19306N, Please Call Miller Nissan, 930 Kings Highway East, Fairfield, CT At 203 367-5050 And Get Millerized! Mention You Saw This Vehicle On Bargain News Online. Gun Metallic, 8 mi, Climate Control,Dual Zone Climate Control,Cruise,Tinted Windows,PS,PW,Power Locks,p mirrors,Leather Steering Wheel,Power Passenger Seat,Memory Seat Position,Heated Seat,Clock,Digital Info Center,Navigation System,Homelink System,Tilt,Telescoping Steering Wheel,Steering Wheel Radio Controls,Rear Spoiler,CD,satellite radio,Passenger Airbag,Side Airbags,Keyless Entry,ABS,Traction Control,Dynamic Stability,Security System,Fog Lights,Intermittent Wipers,Rear Defogger,Wide Tires VIN:5N1AZ2MS4KN120872, Stock No:19529N, Please Call Miller Nissan, 930 Kings Highway East, Fairfield, CT At 203 367-5050 And Get Millerized! Mention You Saw This Vehicle On Bargain News Online. Gun Metallic, 8 mi, Climate Control,Dual Zone Climate Control,Cruise,Tinted Windows,PS,PW,Power Locks,p mirrors,Clock,Digital Info Center,Navigation System,Tilt,Telescoping Steering Wheel,Steering Wheel Radio Controls,Rear Spoiler,CD,satellite radio,Passenger Airbag,Side Airbags,Keyless Entry,ABS,Traction Control,Dynamic Stability,Security System,Intermittent Wipers,Rear Defogger VIN:5N1AZ2MS4KN121391, Stock No:19531N, Please Call Miller Nissan, 930 Kings Highway East, Fairfield, CT At 203 367-5050 And Get Millerized! Mention You Saw This Vehicle On Bargain News Online. Gun Metallic, 4 mi, Climate Control,Dual Zone Climate Control,Cruise,Tinted Windows,PS,PW,Power Locks,p mirrors,Leather Steering Wheel,Power Passenger Seat,Memory Seat Position,Heated Seat,Clock,Digital Info Center,Navigation System,Homelink System,Tilt,Telescoping Steering Wheel,Steering Wheel Radio Controls,Rear Spoiler,CD,satellite radio,Passenger Airbag,Side Airbags,Keyless Entry,ABS,Traction Control,Dynamic Stability,Security System,Fog Lights,Intermittent Wipers,Rear Defogger,Wide Tires VIN:5N1AZ2MS5KN121416, Stock No:19530N, Please Call Miller Nissan, 930 Kings Highway East, Fairfield, CT At 203 367-5050 And Get Millerized! Mention You Saw This Vehicle On Bargain News Online. Gun Metallic, 4 mi, Climate Control,Dual Zone Climate Control,Cruise,Tinted Windows,PS,PW,Power Locks,p mirrors,Leather Steering Wheel,Power Passenger Seat,Clock,Digital Info Center,Navigation System,Homelink System,Tilt,Telescoping Steering Wheel,Steering Wheel Radio Controls,Rear Spoiler,CD,satellite radio,Passenger Airbag,Side Airbags,Keyless Entry,ABS,Traction Control,Dynamic Stability,Security System,Intermittent Wipers,Rear Defogger VIN:5N1AZ2MS0KN123736, Stock No:19573N, Please Call Miller Nissan, 930 Kings Highway East, Fairfield, CT At 203 367-5050 And Get Millerized! Mention You Saw This Vehicle On Bargain News Online. 2019 Nissan Murano 10 mi. Magnetic Black Pearl, 10 mi, Climate Control,Dual Zone Climate Control,Cruise,Tinted Windows,PS,PW,Power Locks,p mirrors,Leather Steering Wheel,Power Passenger Seat,Memory Seat Position,Heated Seat,Clock,Digital Info Center,Navigation System,Homelink System,Tilt,Telescoping Steering Wheel,Steering Wheel Radio Controls,Rear Spoiler,CD,satellite radio,Passenger Airbag,Side Airbags,Keyless Entry,ABS,Traction Control,Dynamic Stability,Security System,Fog Lights,Intermittent Wipers,Rear Defogger,Wide Tires VIN:5N1AZ2MS2KN121843, Stock No:19570N, Please Call Miller Nissan, 930 Kings Highway East, Fairfield, CT At 203 367-5050 And Get Millerized! Mention You Saw This Vehicle On Bargain News Online. 2019 Nissan NV1500 9 mi. Glacier White, 9 mi, Glacier White 2019 Nissan NV1500 SV RWD 5-Speed Automatic V6 Cruise Control,PS,PW,Power Locks,p mirrors,Clock,Digital Info Center,Tilt,Telescoping Steering Wheel,Steering Wheel Radio Controls,Passenger Airbag,Side Airbags,Keyless Entry,ABS,Traction Control,Dynamic Stability,Intermittent Wipers,Wide Tires VIN:1N6BF0KM3KN802035, Stock No:19248N, Please Call Miller Nissan, 930 Kings Highway East, Fairfield, CT At 203 367-5050 And Get Millerized! Mention You Saw This Vehicle On Bargain News Online. 2019 Nissan NV1500 19 mi. Glacier White, 19 mi, Glacier White 2019 Nissan NV1500 S RWD 5-Speed Automatic V6 Power Steering,PW,Power Locks,Clock,Digital Info Center,Tilt,Telescoping Steering Wheel,Steering Wheel Radio Controls,Passenger Airbag,Side Airbags,Keyless Entry,ABS,Traction Control,Dynamic Stability,Intermittent Wipers,Wide Tires VIN:1N6BF0KM9KN802105, Stock No:19249N, Please Call Miller Nissan, 930 Kings Highway East, Fairfield, CT At 203 367-5050 And Get Millerized! Mention You Saw This Vehicle On Bargain News Online. Glacier White, PS,PW,Power Locks,Clock,Digital Info Center,Tilt,Telescoping Steering Wheel,Steering Wheel Radio Controls,Passenger Airbag,Side Airbags,Keyless Entry,ABS,Traction Control,Dynamic Stability,Intermittent Wipers,Wide Tires VIN:1N6BF0KM8KN804363, Stock No:19565N, Please Call Miller Nissan, 930 Kings Highway East, Fairfield, CT At 203 367-5050 And Get Millerized! Mention You Saw This Vehicle On Bargain News Online. 2019 Nissan NV1500 5 mi. Glacier White, 5 mi, Cruise,PS,PW,Power Locks,p mirrors,Clock,Digital Info Center,Tilt,Telescoping Steering Wheel,Steering Wheel Radio Controls,Passenger Airbag,Side Airbags,Keyless Entry,ABS,Traction Control,Dynamic Stability,Intermittent Wipers,Wide Tires VIN:1N6BF0KM3KN805260, Stock No:19580N, Please Call Miller Nissan, 930 Kings Highway East, Fairfield, CT At 203 367-5050 And Get Millerized! Mention You Saw This Vehicle On Bargain News Online. 2019 Nissan NV1500 7 mi. Glacier White, 7 mi, Cruise,PS,PW,Power Locks,p mirrors,Clock,Digital Info Center,Tilt,Telescoping Steering Wheel,Steering Wheel Radio Controls,Passenger Airbag,Side Airbags,Keyless Entry,ABS,Traction Control,Dynamic Stability,Intermittent Wipers,Wide Tires VIN:1N6BF0KM7KN804886, Stock No:19581N, Please Call Miller Nissan, 930 Kings Highway East, Fairfield, CT At 203 367-5050 And Get Millerized! Mention You Saw This Vehicle On Bargain News Online. Glacier White, 7 mi, PS,PW,Power Locks,Clock,Digital Info Center,Tilt,Telescoping Steering Wheel,Steering Wheel Radio Controls,Passenger Airbag,Side Airbags,Keyless Entry,ABS,Traction Control,Dynamic Stability,Intermittent Wipers,Wide Tires VIN:1N6BF0KM2KN804455, Stock No:19582N, Please Call Miller Nissan, 930 Kings Highway East, Fairfield, CT At 203 367-5050 And Get Millerized! Mention You Saw This Vehicle On Bargain News Online. 2019 Nissan NV1500 8 mi. Brilliant Silver Metallic, 8 mi, PS,PW,Power Locks,Clock,Digital Info Center,Tilt,Telescoping Steering Wheel,Steering Wheel Radio Controls,Passenger Airbag,Side Airbags,Keyless Entry,ABS,Traction Control,Dynamic Stability,Intermittent Wipers,Wide Tires VIN:1N6BF0KM2KN802849, Stock No:19553N, Please Call Miller Nissan, 930 Kings Highway East, Fairfield, CT At 203 367-5050 And Get Millerized! Mention You Saw This Vehicle On Bargain News Online. 2019 Nissan NV200 3 mi. Fresh Powder, 3 mi, PS,PW,Power Locks,Clock,Digital Info Center,CD,Passenger Airbag,Side Airbags,ABS,Traction Control,Dynamic Stability,Security System,Intermittent Wipers VIN:3N6CM0KN9KK700523, Stock No:19520N, Please Call Miller Nissan, 930 Kings Highway East, Fairfield, CT At 203 367-5050 And Get Millerized! Mention You Saw This Vehicle On Bargain News Online. 2019 Nissan NV200 4 mi. Fresh Powder, 4 mi, Cruise,PS,PW,Power Locks,p mirrors,Clock,Digital Info Center,Passenger Airbag,Side Airbags,Keyless Entry,ABS,Traction Control,Dynamic Stability,Security System,Intermittent Wipers VIN:3N6CM0KN3KK699546, Stock No:19473N, Please Call Miller Nissan, 930 Kings Highway East, Fairfield, CT At 203 367-5050 And Get Millerized! Mention You Saw This Vehicle On Bargain News Online. Fresh Powder, 3 mi, Cruise,PS,PW,Power Locks,p mirrors,Clock,Digital Info Center,Passenger Airbag,Side Airbags,Keyless Entry,ABS,Traction Control,Dynamic Stability,Security System,Intermittent Wipers VIN:3N6CM0KN8KK698621, Stock No:19474N, Please Call Miller Nissan, 930 Kings Highway East, Fairfield, CT At 203 367-5050 And Get Millerized! Mention You Saw This Vehicle On Bargain News Online. 2019 Nissan NV200 2 mi. Recent Arrival! 24/26 City/Highway MPG Power Steering,PW,Power Locks,Clock,Digital Info Center,CD,Passenger Airbag,Side Airbags,ABS,Traction Control,Dynamic Stability,Security System,Intermittent Wipers VIN:3N6CM0KN9KK696795, Stock No:19285N, Please Call Miller Nissan, 930 Kings Highway East, Fairfield, CT At 203 367-5050 And Get Millerized! Mention You Saw This Vehicle On Bargain News Online. Recent Arrival! 24/26 City/Highway MPG Cruise Control,PS,PW,Power Locks,p mirrors,Clock,Digital Info Center,Passenger Airbag,Side Airbags,Keyless Entry,ABS,Traction Control,Dynamic Stability,Security System,Intermittent Wipers VIN:3N6CM0KN1KK696550, Stock No:19264N, Please Call Miller Nissan, 930 Kings Highway East, Fairfield, CT At 203 367-5050 And Get Millerized! Mention You Saw This Vehicle On Bargain News Online. Recent Arrival! 24/26 City/Highway MPG Cruise Control,PS,PW,Power Locks,p mirrors,Clock,Digital Info Center,Passenger Airbag,Side Airbags,Keyless Entry,ABS,Traction Control,Dynamic Stability,Security System,Intermittent Wipers VIN:3N6CM0KN3KK696422, Stock No:19265N, Please Call Miller Nissan, 930 Kings Highway East, Fairfield, CT At 203 367-5050 And Get Millerized! Mention You Saw This Vehicle On Bargain News Online. Fresh Powder, 2 mi, Cruise,PS,PW,Power Locks,p mirrors,Clock,Digital Info Center,Passenger Airbag,Side Airbags,Keyless Entry,ABS,Traction Control,Dynamic Stability,Security System,Intermittent Wipers VIN:3N6CM0KN4KK697806, Stock No:19318N, Please Call Miller Nissan, 930 Kings Highway East, Fairfield, CT At 203 367-5050 And Get Millerized! Mention You Saw This Vehicle On Bargain News Online. Fresh Powder, 3 mi, PS,PW,Power Locks,Clock,Digital Info Center,CD,Passenger Airbag,Side Airbags,ABS,Traction Control,Dynamic Stability,Security System,Intermittent Wipers VIN:3N6CM0KN2KK698761, Stock No:19412N, Please Call Miller Nissan, 930 Kings Highway East, Fairfield, CT At 203 367-5050 And Get Millerized! Mention You Saw This Vehicle On Bargain News Online. Fresh Powder, 4 mi, PS,PW,Power Locks,Clock,Digital Info Center,CD,Passenger Airbag,Side Airbags,ABS,Traction Control,Dynamic Stability,Security System,Intermittent Wipers VIN:3N6CM0KN9KK698823, Stock No:19419N, Please Call Miller Nissan, 930 Kings Highway East, Fairfield, CT At 203 367-5050 And Get Millerized! Mention You Saw This Vehicle On Bargain News Online. 24/26 City/Highway MPG Power Steering,PW,Power Locks,Clock,Digital Info Center,CD,Passenger Airbag,Side Airbags,ABS,Traction Control,Dynamic Stability,Security System,Intermittent Wipers VIN:3N6CM0KN7KK696049, Stock No:19206N, Please Call Miller Nissan, 930 Kings Highway East, Fairfield, CT At 203 367-5050 And Get Millerized! Mention You Saw This Vehicle On Bargain News Online. 24/26 City/Highway MPG Cruise Control,PS,PW,Power Locks,p mirrors,Clock,Digital Info Center,Passenger Airbag,Side Airbags,Keyless Entry,ABS,Traction Control,Dynamic Stability,Security System,Intermittent Wipers VIN:3N6CM0KN3KK695576, Stock No:19188N, Please Call Miller Nissan, 930 Kings Highway East, Fairfield, CT At 203 367-5050 And Get Millerized! Mention You Saw This Vehicle On Bargain News Online. 24/26 City/Highway MPG Cruise Control,PS,PW,Power Locks,p mirrors,Clock,Digital Info Center,Passenger Airbag,Side Airbags,Keyless Entry,ABS,Traction Control,Dynamic Stability,Security System,Intermittent Wipers VIN:3N6CM0KN2KK694631, Stock No:19089N, Please Call Miller Nissan, 930 Kings Highway East, Fairfield, CT At 203 367-5050 And Get Millerized! Mention You Saw This Vehicle On Bargain News Online. Fresh Powder, 3 mi, PS,PW,Power Locks,Clock,Digital Info Center,CD,Passenger Airbag,Side Airbags,ABS,Traction Control,Dynamic Stability,Security System,Intermittent Wipers VIN:3N6CM0KN4KK702275, Stock No:19584N, Please Call Miller Nissan, 930 Kings Highway East, Fairfield, CT At 203 367-5050 And Get Millerized! Mention You Saw This Vehicle On Bargain News Online. 2019 Nissan NV2500 HD 4 mi. Glacier White, 4 mi, PS,PW,Power Locks,p mirrors,Clock,Digital Info Center,Tilt,Telescoping Steering Wheel,Steering Wheel Radio Controls,Passenger Airbag,Side Airbags,Keyless Entry,ABS,Traction Control,Dynamic Stability,Intermittent Wipers,Wide Tires VIN:1N6BF0KY9KN807016, Stock No:19604N, Please Call Miller Nissan, 930 Kings Highway East, Fairfield, CT At 203 367-5050 And Get Millerized! Mention You Saw This Vehicle On Bargain News Online. 2019 Nissan NV2500 HD 6 mi. Glacier White, 6 mi, Glacier White 2019 Nissan NV2500 HD S Standard Roof RWD 5-Speed Automatic V6 Power Steering,PW,Power Locks,p mirrors,Clock,Digital Info Center,Tilt,Telescoping Steering Wheel,Steering Wheel Radio Controls,Passenger Airbag,Side Airbags,Keyless Entry,ABS,Traction Control,Dynamic Stability,Intermittent Wipers,Wide Tires VIN:1N6BF0KY1KN802179, Stock No:19200N, Please Call Miller Nissan, 930 Kings Highway East, Fairfield, CT At 203 367-5050 And Get Millerized! Mention You Saw This Vehicle On Bargain News Online. Glacier White, 6 mi, Cruise,PS,PW,Power Locks,p mirrors,Clock,Digital Info Center,Tilt,Telescoping Steering Wheel,Steering Wheel Radio Controls,Passenger Airbag,Side Airbags,Keyless Entry,ABS,Traction Control,Dynamic Stability,Intermittent Wipers,Wide Tires VIN:1N6BF0KY3KN805326, Stock No:19395N, Please Call Miller Nissan, 930 Kings Highway East, Fairfield, CT At 203 367-5050 And Get Millerized! Mention You Saw This Vehicle On Bargain News Online. 2019 Nissan NV2500 HD 8 mi. Glacier White, 8 mi, Cruise,PS,PW,Power Locks,p mirrors,Clock,Digital Info Center,Tilt,Telescoping Steering Wheel,Steering Wheel Radio Controls,Passenger Airbag,Side Airbags,Keyless Entry,ABS,Traction Control,Dynamic Stability,Intermittent Wipers,Wide Tires VIN:1N6BF0KY6KN805403, Stock No:19394N, Please Call Miller Nissan, 930 Kings Highway East, Fairfield, CT At 203 367-5050 And Get Millerized! Mention You Saw This Vehicle On Bargain News Online. Glacier White, 6 mi, PS,PW,Power Locks,p mirrors,Tow Package,Clock,Digital Info Center,Tilt,Telescoping Steering Wheel,Steering Wheel Radio Controls,Passenger Airbag,Side Airbags,Keyless Entry,ABS,Traction Control,Dynamic Stability,Intermittent Wipers,Wide Tires VIN:1N6AF0KY9KN801342, Stock No:19320N, Please Call Miller Nissan, 930 Kings Highway East, Fairfield, CT At 203 367-5050 And Get Millerized! Mention You Saw This Vehicle On Bargain News Online. 2019 Nissan NV2500 HD 9 mi. Glacier White, 9 mi, Glacier White 2019 Nissan NV2500 HD S Standard Roof RWD 5-Speed Automatic V6 Power Steering,PW,Power Locks,p mirrors,Clock,Digital Info Center,Tilt,Telescoping Steering Wheel,Steering Wheel Radio Controls,Passenger Airbag,Side Airbags,Keyless Entry,ABS,Traction Control,Dynamic Stability,Intermittent Wipers,Wide Tires VIN:1N6BF0KY3KN801258, Stock No:19250N, Please Call Miller Nissan, 930 Kings Highway East, Fairfield, CT At 203 367-5050 And Get Millerized! Mention You Saw This Vehicle On Bargain News Online. 2019 Nissan NV2500 HD 5 mi. Glacier White, 5 mi, Cruise,PS,PW,Power Locks,p mirrors,Clock,Digital Info Center,Tilt,Telescoping Steering Wheel,Steering Wheel Radio Controls,Passenger Airbag,Side Airbags,Keyless Entry,ABS,Traction Control,Dynamic Stability,Intermittent Wipers,Wide Tires VIN:1N6BF0LY7KN806204, Stock No:19502N, Please Call Miller Nissan, 930 Kings Highway East, Fairfield, CT At 203 367-5050 And Get Millerized! Mention You Saw This Vehicle On Bargain News Online.